Whey protein is the most complete and biologically active form of protein but all whey proteins are not created equal. We all need good quality protein in order to maintain a strong healthy body at all ages . 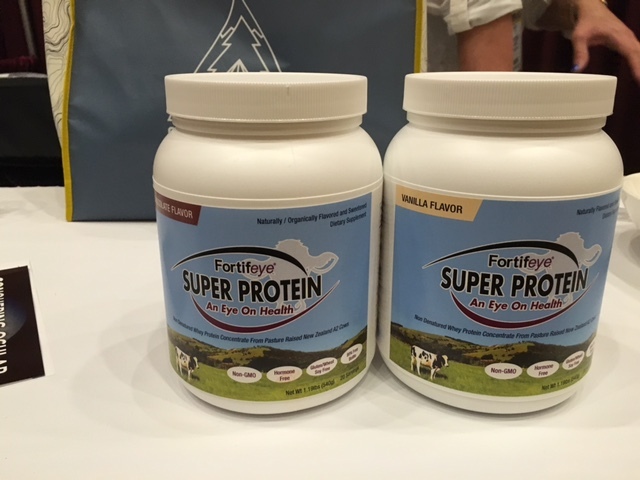 Dr Michael Lange was not happy with the quality and price of proteins being sold at local health food stores, over the internet or through infomercials so after years of research decided to develop a super high quality non denatured whey protein concentrate called Fortifeye Super Protein. This is a non denatured whey protein concentrate from pasture raised New Zealand A2 cows. This protein is certified free of gmos, pesticides, antibiotics, hormones, wheat, soy and gluten . It comes in a bpa free container with 20 servings. 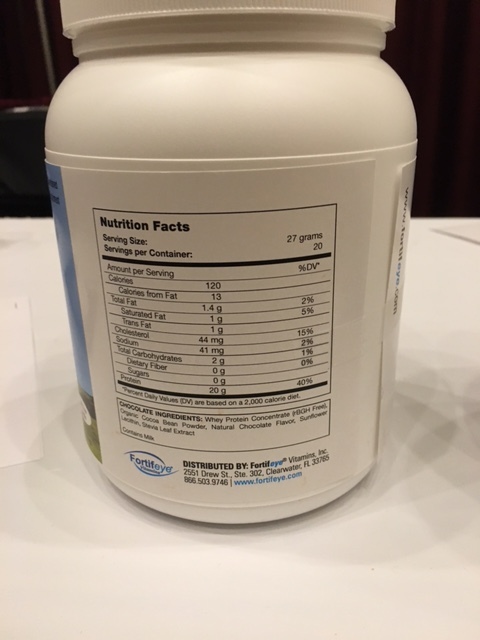 Dr Lange and Fortifeye Vitamins elected to use a whey protein concentrate instead of an isolate for many reasons. Whey protein concentrate is the least processed of the two forms of whey and is considered a whole food. Whey protein concentrate is full of its natural vitamins, alkalizing minerals, immunoglobulins, bio active peptides, growth factors and healthy fats. Isolates on the other hand are stripped of these vital anti aging nutrients . Fortifeye Super Protein is a non denatured whey concentrate that uses low temperature processing and no high heat or acid washing that denatures the protein. The cows are the highest quality non genetically altered cows that feed on pesticide free grass pastures. This gives protein a much higher omega 3 to omega 6 ratio when compared to cows that are grain fed. This is a perfect protein for anyone wanting to decrease arachidonic acid and lower inflammation in the body. Glutathione is the master antioxidant in the body. The level of glutathione in the body is a good indicator of a persons immune system and the ability to fight off aging. glutathione levels decline as we age. A non denatured whey protein concentrate is on of the best ways to stimulate the production of glutathione. Dr Michael Lange and Fortifeye Vitamins have developed the highest quality whey protein concentrate at a very good price. Dr Lange worked on the flavoring of these protein for many months. Fortifeye Super Protein comes in chocolate and vanilla organically and naturally flavored. Non gmo sunflower seed lecithin gives it a creamy easily mixed texture. This protein can be called an undenatured whey protein or non denatured whey protein. March 2017 Fortifeye released their all new Fortifeye Naked Super Protein. Naked Protein is the same great New Zealand year round grass fed pasture raised whey protein concentrate with No guar gum, no lecithin, no stevia, no flavoring at all, no antibiotics, no pesticide, no hormones just pure unflavored protein! If you are a professional or amateur athlete, weekend warrior or just wanting to practice good anti aging nutrition you must consider Fortifeye Super Protein. You will be able to purchase from www.fortifeye.com towards the end of November. This will retail for about $45 a cannister.